The first card is just stunning - what a lovely border image. Love the roses taken from the image through to the paper and the embellies. Great colour palette too. Such lovely creations Traci. I love the quote on your first project too. Great soft colours on your 2nd project. Both are just so lovely. 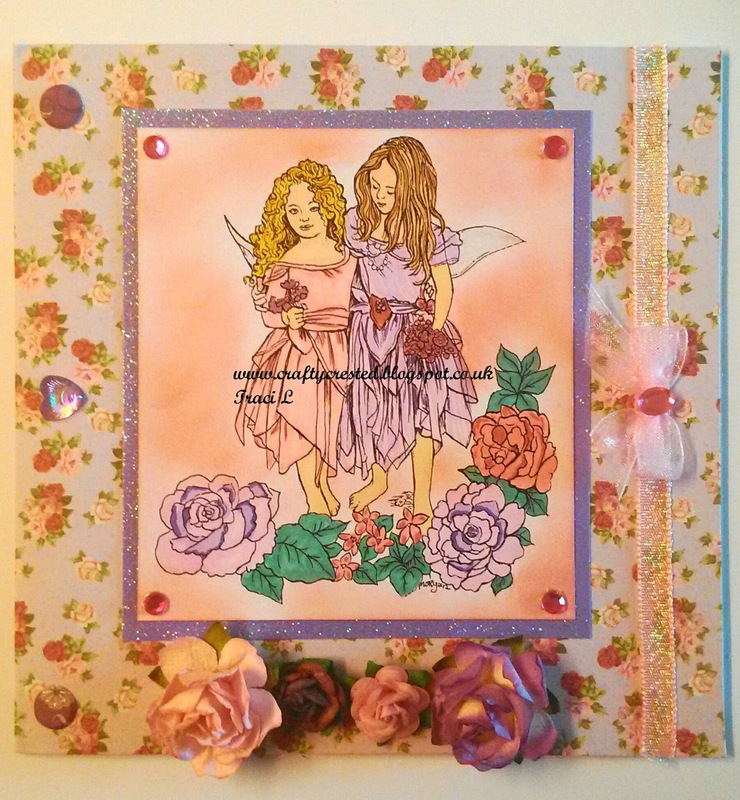 Such a beautiful card, love the image and your colouring is beautiful. Love the colours you have chosen. 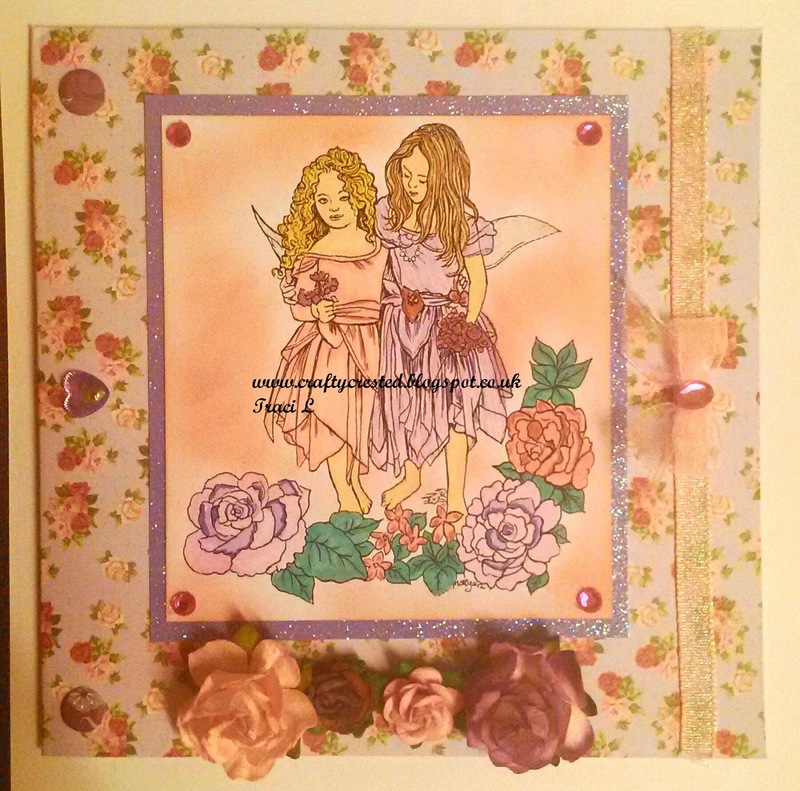 Beautiful backing papers and love the little flowers. Thank you for joining us at Left of Center Creative Challenge this week. 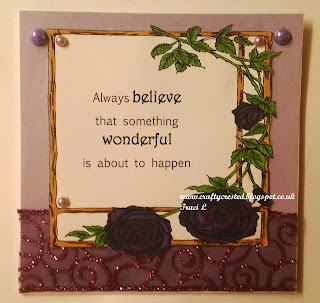 Morgan, the border you created on Border 2 is beautiful - love the sentiment, too! Thank you for joining us in the Through The Craft Room Door challenge this week. Beautiful creations, thank you so much for joining our challenge over at Buckwells. Adorable card!! Thanks for playing with us at Craft Time Challenges! So gorgeous creation. Thank you for joining us at Paradise of Stamps. Sweet cards. Love them both. 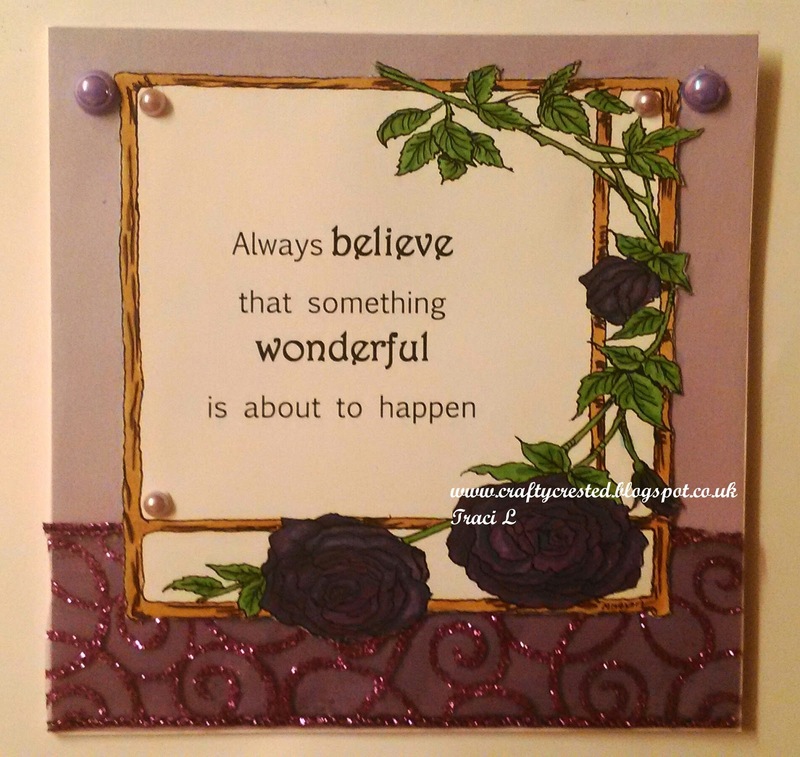 Your Fair Wishes card is really pretty and I love the image you have used. Great choice of colours - they go so well together. Thank you so much for entering the TTPH challenge (use Bright Colours) this month, lots of luck to you. Super cards, my favourite would have to be the sentiment one. Thanks for joining us at Crafting with an Attitude this time.